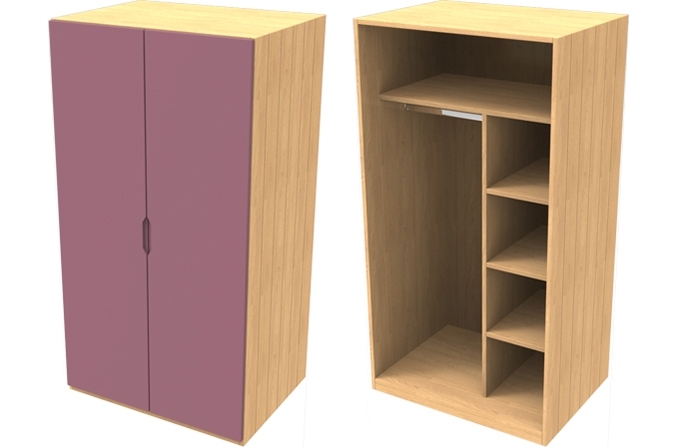 Small Pink Kids Wardrobe - Painted Starlight Pink also available with Elephant Grey or Starlight Pink doors or available in full white to match other furniture items in the Savannah Collection. External panels made from oak veneer, with grooved detail. Doors made from MDF and painted to a colour of your choice.